Oxford mathematics professor John Lennox offers his thoughts on the relationship between Genesis and science in the short but insightful book, Seven Days That Divide The World. Lennox notes various historical approaches to Scriptural interpretation, comparing the current “young-earth/old-earth” divide to the “fixed-earth/moving-earth” controversy of centuries past. Lennox argues that Scripture allows for an old-earth interpretation involving sophisticated, meaningful metaphors, but he also argues the Scripture indicates the special distinct creation of man, not seeming to allow for the common ancestry of humans and animals. He also offers thoughts on the Bible’s and science’s “convergence” on the non-eternity of the universe, and the significance of “non-material” information in universal constants and the human genome as pointing to a “non-material” Creator. Some of the quotes below are introductory references to ideas that are presented with more fully-developed claims in the full text of the book. Augustine: “As for these days, it is difficult, perhaps impossible to think, let alone explain in words, what they mean… But at least know that it is different from the ordinary day with which we are familiar.” Augustine held that God had created everything in a moment, and that the days represented a logical sequence to explain it to us. Human Beings: A Special Creation? There have been two particularly interesting developments in astronomy in the last few decades. The first is the discovery of exosolar planets – that is, planets outside our solar system. The second is the discovery of liquid water on planets and moons inside our solar system. Both developments have accelerated in recent years and show no signs of stopping. Both have fascinating implications for our understanding of our place in the universe. Humans are the most dominant living creatures on a little round ball that teems with life, from the deepest hydrothermal vents to the coldest poles and highest mountaintops. This fertile sphere exists in a mind-boggling vast universe that, as far as we know, has no other life in it. There are numerous ways to make sense of all this, but they tend to fall into two broad camps: Special and Not-So-Special. The Special camp says that we appear to be alone in the universe because we are special. A representative sample of this kind of philosophy can be found in the “Rare Earth hypothesis,” which says that the origin of life and any progression to intelligence require such “an improbable combination of astrophysical and geological events and circumstances” that extraterrestrial life, especially the complex or intelligent variety, is likely to be extremely rare, if it exists at all. The hypothesis emphasizes how our planet is in the right location in the right kind of galaxy, orbiting at the right distance from the right type of star, with the right arrangement of planets, in a continuously stable orbit, with a solid surface and an atmosphere and plate tectonics and a large moon, and so on, and so forth. A Special Earth does not demand that it was created by God, nor does belief in God demand a Special Earth, but they generally tend to suggest each other. (See “The Privileged Planet“.) If our existence within this universe is sufficiently improbable, it’s rather compelling to suggest that Something – or Someone – outside our universe intentionally set it up with that outcome in mind. Of course, such a Someone could have set up our universe with intelligent life teeming across other stars and galaxies as well. But many religions tend to assume some centrality to humanity and planet Earth. The Christian’s Bible does not (in my opinion) explicitly rule out life on other planets, but it certainly portrays God as more interested in humanity than anything else of his creation, from the beginning of this universe to its end. By contrast, the Non-Special camp claims Earth is “a typical rocky planet in a typical planetary system, located in a non-exceptional region of a common barred-spiral galaxy.” This “mediocrity principle” tends to view the universe’s contents as spread out along fairly uninteresting statistical distributions. Wherever life does arise, it might think of itself as special due to its own selection bias, lack of imagination, and circular reasoning, but Non-Specialists see no objective reason to posit such a thing. Earth appears to exist under finely-tuned circumstances, but they view that as reversed logic and see no reason to assume that life couldn’t have simply developed differently, with a similar appearance of fine-tuning, if any given parameter had been different. With the variety and vast quantities of stars and galaxies, Non-Specialists believe the universe is overwhelmingly abundant in life. The fact that we have not yet discovered any of that life is known as the Fermi Paradox. WaitButWhy has an entertaining and informative post that describes many of the speculative explanations for this paradox. After all, most stars are pretty far away and our technology is still pretty limited. A Non-Special Earth does not demand atheistic origins, nor do atheistic beliefs demand a Non-Special Earth, but they generally tend to go together as well (see Lawrence Krauss, Richard Dawkins, etc). If the unfolding of the universe was not guided by any intelligent purpose, it tends to follow that there is nothing special about our existence. If we are simply one of billions of life forms across the galaxies, that doesn’t disprove God as creator of it all, but it certainly makes such views less compelling than the idea that everything was specially designed just for us. For Christians, if intelligent life – if the very image of God – isn’t special to humanity, it introduces sticky questions about sin and salvation and the whole theology of God becoming Man. It might be natural to think of the arc of scientific progress as bending from Special to Non-Special for a long time. The ancients assumed the sun and the planets all went around the Earth. Now we know our planet orbits the sun just like the others. We used to think of the sun as a distinct object in the sky. Now we know it’s a giant nuclear fusion factory orbiting a black hole like all the other stars in our galaxy. We used to think all stars were part of our galactic system. Now we know there are about as many galaxies out there as stars in the Milky Way, spreading across a universe that is far vaster than we had ever imagined. Yet in that vastness we have reclaimed our significance. We ooh and aah over the Hubble Space Telescope’s images of vibrant galaxies as demonstrations of God’s power and creativity. The heavens declare the glory of God, like never before. We contrast the hostility of the vast dark and cold and radiation and black holes and gamma ray bursts with the charming comfort of our planet. Its protective ozone layer and magnetic fields and our large neighbor to scoop up deadly asteroids and all those other properties make our home feel so safe and Special in the context of all that outer death and darkness. In that sense, nothing has really changed since David penned his psalm under the spiral arm of the Milky Way in the night sky three thousand years ago. Modern discovery has exponentially amplified the dynamics, but it’s the same story: God’s created universe is amazing, and what a mystery that humanity is so Special within it! Yet the very progress of astronomy that has enhanced our Special place for so long is now threatening to undo it. Ever since science revealed our sun to be one of the stars, humans have speculated that other stars might have planets, too, but the technology wasn’t there to verify it. When I was born in the late 1980’s, scientists still had not confirmed a single exoplanet. We were just beginning to uncover possibilities – looking for the brief but regular dimming of stars being transited by giant planets whose orbital plane happened to cross our line of sight, or the subtle but regular shift in a star’s radial velocity from the gravitational effect of a near, giant orbiting planet. The first exoplanet was confirmed in 1992. More planets trickled in as we grew up. Technology improved, new detection methods were found, smaller and smaller planets became observable. The trickle became a stream, and then a torrent – at the beginning of this year (2015) NASA announced confirmation of the 1000th exoplanet. Nine months later the number has already almost doubled, with thousands more candidates waiting for the due diligence of confirmation. Direct imaging is now within our limits. Further technological advances will only increase all of this. How special is a one-in-a-million property if there are 200 billion planets in the Milky Way? 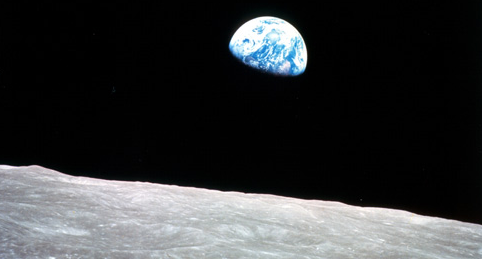 Is Earth the only one with a tilt-stabilizing moon in a circular-enough orbit in the habitable zone for liquid water? Speaking of liquid water, this brings us to the other accelerating major development in astronomy: the detection and confirmation of water throughout the solid bodies of our own solar system. Jupiter’s moon Europa was suspected for decades to have liquid water under its icy surface. Gravitational and magnetic measurements in the late 90’s from the Galilean missions strengthened such theories. In 2013 plumes of water eruptions venting from the subsurface ocean were announced by Hubble. In 2014, active plate tectonics were confirmed. In 2005, the Cassini spacecraft spotted geysers venting from Saturn’s icy moon Enceladus. Last year, scientists detected signs of a subsurface ocean near the southern pole. Last month, they announced signs that the ocean is global. Magnetic readings in 2000 suggested the possibility of an ocean on Ganymede, Jupiter’s largest moon. Spring 2015 saw the announcement of even stronger aurora-based indications of a global saltwater ocean with more water volume than Earth’s. Mars has seen a steady stream of water-related discoveries in the last few decades, from indications of liquid water under the polar ice caps to evidence of powerful streams and vast oceans in the past to moisture in the present soil to last month’s headline of patterns of salty brine emerging just under the surface. What’s the big deal with liquid water? Water is a special property, a sort of “Earth among chemicals,” with its ability to dissolve almost anything and allow other substances to play around with each other. Its solid form expands and floats on top, protecting instead of crushing what lies below. As far as we know it is utterly necessary not only to sustain life, but to allow life to arise from non-life at all (assuming that such a thing is actually possible, that is). We used to think it was only possible for liquid water to consistently exist within a pretty narrow “habitable range” of a star on a rocky planet with a proper atmosphere and rotation. Too close: boiled. Too far: frozen. Locked in orbit with the same side facing the sun: both. Earth was only object in our solar system that was even close to qualifying. But now: Earth. Mars. Jupiter. Saturn. Fully half the planetary bodies seem to be qualifiers, either themselves or through their moons. We wrote off gas giants as totally inhospitable to life! But what does that matter if their moons have liquid oceans hiding under the surface of that protective ice? We haven’t even begun to detect exosolar moons. Jupiter alone oversees two oceans – at least! This potentially expands not just one major limiting factor of the rare Earth hypothesis, but several: maybe you don’t need an atmosphere or magnetic field to protect whatever might develop under ice, either. Does this bump up the odds of life by an order of magnitude by itself? Is the Special theory too narrow after all? Many Non-Specialists seem to think so. There are corners of the Internet practically giddy in anticipation at finding life hiding under every dihydrogen-monoxide collection in the cosmos. Some seem to have an overwhelming confidence that given the right time and conditions, well, “life finds a way,” and we’re finding the conditions everywhere! In my opinion, such confidence springs more from Hollywood than science. Liquid water could exist on every moon and planet in the galaxy and still leave far longer odds than many seem to realize. But if the aforementioned factors can be bested by such unanticipated discoveries, who knows what other possibilities may exist out there that we haven’t imagined, either? But there is still a fundamental mystery. We don’t know whether or not we’re going to find life. For the first time in the history of humanity, we’re on the verge of being able to quantify how special the Earth really is as a planet in the universe. As the reports of new planets keep rolling in, with candidates of ever-increasing similarities to Earth – just as you’d expect from a random statistical distribution – our home seems to be on the verge of finally losing its Special thunder. But what if we do discover life out there one day? If the history of astronomy is any indication, I predict it won’t come in the form of an alien spaceship or a poem on a distant radio wave. If it comes, it will come in fits and hints and pieces. Instrument readings of oxygen and carbon dioxide on some distant planet, or microscopic fossils on an outer moon that aren’t quite conclusive, or bacteria on a rover that just might have hitched a ride from Earth, until more evidence trickles in and skepticism starts to diminish and finally it becomes apparent after years and years that, yes, life has, at least once, maybe in the past, undeniably lived somewhere besides Earth. It would be the most stunning scientific discovery in history. And we will ask ourselves again: Are we still Special? The answer in large part will depend on what we find, and how much of it. Perhaps the Special line will simply move up to complex life or intelligent life, with the Not-So-Specialers continuing to expect it to one day vanish altogether. Will that life have the same kind of DNA? Would that suggest a Universal Programmer? Or more outlandish theories of panspermia? Let’s consider the worst case scenario for the Special camp: we discover intelligent life abundant in the universe. Earth, life, even humans become unequivocally Not Special. Maybe not even the most dominant creature of all creation. What would that mean for theology? Some theologians think such “gaps” should never have been attributed to God in the first place. Some say the advance of science has actually vindicated theists on some things, or that such advancement simply portrays the laws of nature God invented. Meanwhile, atheists such as Richard Dawkins seem to mock theists for having small imaginations that are continuously being assaulted by science’s advance. Whatever the case, the entire discussion seems to revolve around the assumption that the gaps in scientific knowledge are shrinking, and whether or not this helps or hurts the arguments for God. But I think this assumption is false. The gaps in scientific knowledge are not shrinking. In fact, they are growing faster than ever. Yes, we are constantly discovering new things, but I think people sometimes get the impression that science is like an unknown land, where every discovery uncovers a new bit of ground and leaves that much less ground still to uncover. But reality is a lot messier than that. First, a lot of new scientific knowledge merely overturns previously discovered knowledge. Michael Pollan’s In Defense of Food details the abrupt reversals in nutrition recommendations over the last century. Matt Ridley has discussed some of the scientific “consensus” that has changed over the ages: “There was once widespread agreement about phlogiston (a nonexistent element said to be a crucial part of combustion), eugenics, the impossibility of continental drift, the idea that genes were made of protein (not DNA) and stomach ulcers were caused by stress, and so forth—all of which proved false.” It seems like every couple of decades the experts change their minds about whether back sleeping or stomach sleeping is safest for babies. Samuel Arbesman has actually tried to measure “how long it takes for half of the knowledge” in various scientific fields “to be overturned.” Often, new discoveries simply reveal that old discoveries were based on wrong assumptions or misinterpreted data or inadequate studies that have been replaced with (hopefully more accurate) new ones – or rather, refilling gaps we thought we had already filled. Of course, it would be unfair to suggest that all science is like this. Science is supposed to correct its earlier mistakes, of course, but there is also plenty of real advancement! Sometimes these “corrections” are actually tweaks that get us continually closer and closer to the truth. Newton had his physics that explained the movements of most of our everyday objects, and then Einstein came along and tweaked the equations with weird quantum stuff that explained the movement of everyday objects and the weird stuff that Newton couldn’t explain. (Pardon any oversimplifications or technical errors… I’m a little rusty on my physics.) Newton was right, but Einstein was more right. He filled in a little more gap, making the gap smaller. Right? Well, not exactly. This leads me to my second point: even when science fills a gap, it often does it with new understandings that reveal bigger gaps that we didn’t even known about before. Sure, we don’t have to invoke angels to explain the movements of the planets anymore. But the equations of gravity left us with an even bigger problem; we can explain how planets move around their stars, but we can’t explain why the stars all stick together in galaxies (there doesn’t seem to be enough stuff at that level) or why the galaxies are all flying away from each other (there seems to be too much stuff at that level). So scientists have come up with “dark matter” that holds the stars together and “dark energy” that pulls galaxies apart. Our current, best understanding of the universe requires a whole bunch of invisible, unobservable stuff that is said to be 19 times greater than all the stuff we’ve ever observed in the entire universe! And you mean to tell me that’s a smaller gap than a few angels pushing four or five planets around? And that’s why I can’t help finding God in the gaps, though perhaps not in the primitive manner of the ancients. I’m not suggesting we move the angels from the planets to dark matter. But I do disagree with the general idea that the continuing discoveries of science leave less room for God, as if they’re somehow mutually exclusive. Every scientific advance creates more room for appreciating the wonder of the universe God created. When I read books about outer space (like Space Atlas) I marvel at the incredible variety of all the things we’ve found, and I marvel at the mystery of all the new details we can’t explain. When I read books about mathematics (like Visions of Infinity) I marvel at the sheer elegance of the way numbers behave across seemingly disparate fields and forms, and I marvel at the mystery of all the theorems that we haven’t proved and don’t even know whether or not they can be! Whether science is explaining something new or discovering something it can’t explain – both things make me think “God is awesome!” God is God of both the gaps and the non-gaps, and they’re both growing faster than ever.